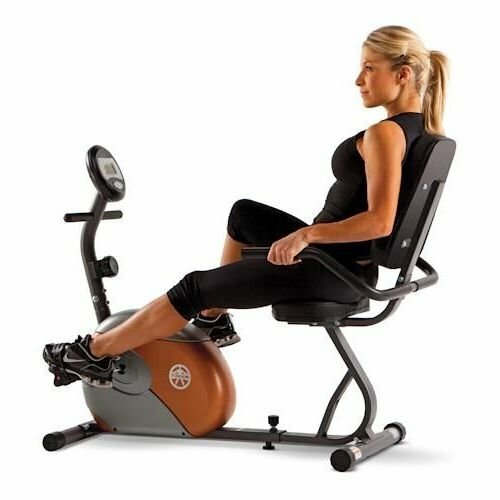 EIGHT RESISTANCE LEVELS - This stationary bike uses a magnetic resistance mechanism with 8 levels of resistance. The tension knobs control the difficulty to simulate riding on different terrains and customize your workout according to fitness level! EASY-TO-READ COMPUTER SCREEN - The ultra-functional LCD computer screen acts as a odometer and has a sharp panel display that shows time, speed, distance, and calories burned in extra-large numbers for great readability.